Club Open will definitely be favorite location for you this summer. This is summer version of club Parlament, known for an amazing atmosphere. If you liked hot nights in club Parlament, club Open will definitely delight you. Club Open is located exactly in front of club Parlament at No 1 Ruska Street. Attractive location, even more attractive girls, unique nights, large selection of alcoholic drinks at very affordable prices, cocktails... Everything you are used to in club Parlament, you can experience here even more since it's spiced up with summer hormones. Be ready to dance in summer dresses and refreshing party. Depending on what you like the most, here you can choose booth, high seating or bar table. Within the club, there is chill out zone. Architectural concept of this place is designed just right so there is no bad place to be and you are always in center of attention. Exterior of this club will additionally contribute to your pleasure. Club Open is opened from 11:30 pm until 5 am in the morning and in this period you will be able to enjoy in sounds of Disco / House / R'n'B / Hip-Hop and Trep and Twerk music. Good surround system, perfect illumination, and ambient is designed so it will suitable for every taste and provide maximal relaxation in nightlife. 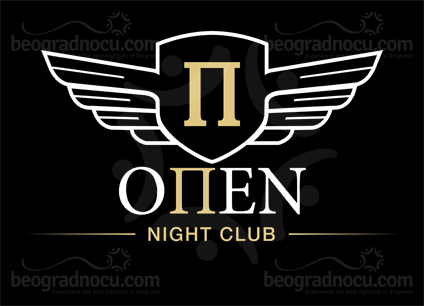 This are only some of characteristic of club Open that will mark summer season of true clubbers of Belgrade. Club Open accommodates 300 people and service is impeccable and on high level. But don't take our word! Better check it by yourself. Visit club Open and you'll have time of your life. See for yourself in our words - party of your life is inevitable here. Arm yourself with positive energy and conquer Belgrade this summer.